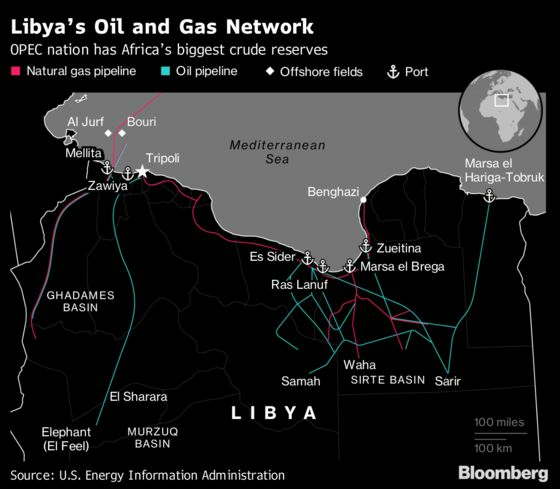 (Bloomberg) -- As fighting in Libya encroaches on the capital, Tripoli, the risk of new oil-supply outages from the OPEC member has risen. The country has been in disarray since Muammar Qaddafi, its head of state, was removed from office and killed in 2011. 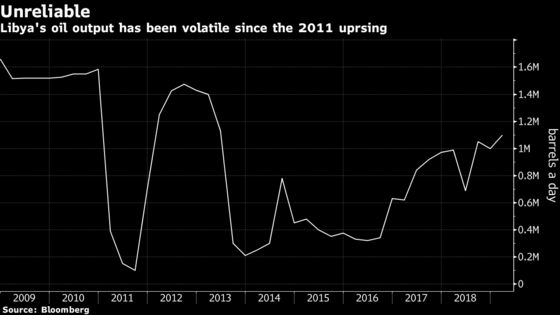 Oil output surged in recent months as a fragile peace took hold, but the latest battles are a reminder that reliable crude flows require a political solution to end eight years of strife. These reports examine Haftar’s ambitions, and reveal a Russian plan to help Muammar Gaddafi’s son gain power. A QuickTake explainer on the Libyan conflict. A look at the battle over Libya’s biggest oilfield, the outlook on oil prices if Libya’s current conflict persists, and an interview with the head of the country’s internationally recognized national oil company. Bloomberg Opinion on how the armed conflict in Libya could send oil prices soaring.